Product News , Tips, Market prices, Start-ups, Taking It One Review At A Time. A BRIEF LOOK AT THE FIVE PHONES TECNO LAUNCHED LAST WEEK THURSDAY IN LAGOS. Last week, on Thursday 5th April precisely, Tecno introduced five new smartphones into the Nigerian market. 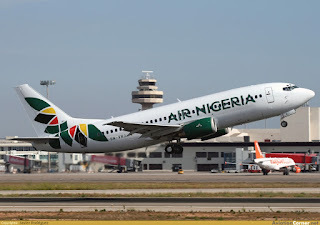 The launch was attended by a lot of dignitaries, media houses and celebrities including the current minister of information, Mr. Shittu Adebayo. The phones were introduced during Tecno’s spring launch held at Eko Hotels in Lagos. Among the four smartphones, Tecno introduced two phones into the Camon line, and also two mid-ranged smartphones. The two Camon phones named Camon X and Camon X Pro were built specifically to need the needs of selfie addicts. The Camon X Pro sports 24MP front-facing camera with double LED flash, while the Camon X sports a 20MP front facing camera with a brilliant LED setup. I said these phones were introduced specially for selfie addict because I don’t see any other reason for fixing up a 20MP/24MP camera in front and putting a 16MP camera behind. The Camon X Pro also comes with 4GB RAM, 64GB internal storage while the Camon X ships with 3GB RAM and 16GB internal storage. But both phones come with an all new feature, face ID . Tecno claims their face ID detection uses advanced camera tech and unlocks a phone once it scans a user’s face under 50ms. This speed is almost as good as iPhone X’s face ID. Tecno also claims that the face ID feature is more responsive than fingerprint/touch sensors. The minister of information Nigeria, Mr. Shittu Adebayo. 20MP selfie camera on Camon X and 24MP on Camon X pro. 3GB RAM/16GB ROm on Camon X and 4GB/64GB ROM on the Camon X Pro. Bokeh effect, to put more focus on your face. Tecno also launched three entry-level budget smartphones powered by android 8.1 0reo(Go edition) named F1, F2 and POP1. The phones were launched as a result of a partnership between Tecno and Google to introduce more efficient smartphones running on low hardware. The Android 8.1 Go edition, is more of a Lite version of the original, and comes with striped down , offline-first versions (Go versions) of the main system apps. Including Gmail Go, Google Go, YouTube Go, Google Assistant(Go version). The Oreo Go edition is tailored for low-end devices running on anything from 1GB RAM and less and should offer smooth experiences for android users. Especially for phones running on 512MB RAM. By launching these three phones, Tecno has also launched a new series of F-phones. Don’t expect much from these three phones, they are seriously ‘light’ and will not feature heavy stuffs. For example, the F1 and F2 models offer 2MP selfie cameras, while the POP3 comes with a 5MP selfie camera. But they three all come with fingerprint scanners, 8MP rear cameras, 5.7inch HD display, huge battery capacity and 16GB internal storage! Here’s a brief run-down of the specs of F1, F2 and POP3. Well this the much we know about these new phones, more details on specs will come as soon as the phones fully go on-sale in Nigeria before the end of this month. But the last three, shouldn’t cost more than N35,000. Maybe, maybe over. 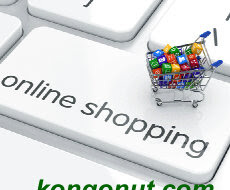 TOP 15 ONLINE SHOPS IN NIGERIA. HOW TO BATTLE ACNE/PIMPLES, MYTHS AND TRUTHS. WHY SOME PHONES HAVE DUAL REAR CAMERAS. 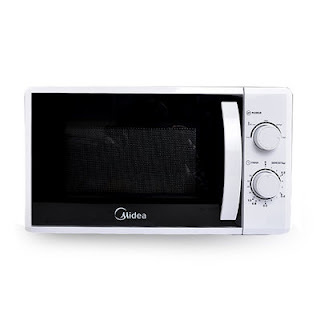 MIDEA 20L COUNTER TOP MICROWAVE OVEN. ← CRACK YOUR ANDROID APP WITH LUCKY PATCHER. GET UNLIMITED FREE GEMS, COINS, BLOCK ADS. Ebube Emeka is a programmer, web developer and tech freak. He's a top writer at KONGONUT where he reviews products and brands. Hello! We just noticed you're using an adblocker. Cool. But you see, for us to display this content free and not go bankrupt, we need to display these ads. Don't worry, we don't pester our visitors, you're safe to whitelist our blog on your adblocker. You won't regret you did! 😀 Also, you will find our share buttons and a lot of other interesting tools when you disable the adblocker.